Yuzu who? A best kept secret in aromatherapy! - JennScents, Inc.
Yuzu who? A best kept secret in aromatherapy! Yuzu Essential Oil – a must know in essential oils! 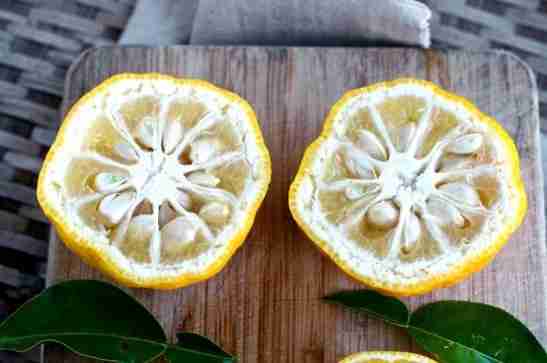 How many people have heard of the fruit Yuzu? Did you know it is a beautiful and beneficial essential oil? It is also used in several herbal formulas. So, what does yuzu do? Well, let me tell you, if lavender were a fruit, it would be yuzu. It possesses many of the same therapeutic properties (source) such as nourishing and relaxing the nervous system (anxiety), calming emotions and reducing spasms such as PMS and leg cramps. When you look at the plant’s signature characteristics, it can give you great insight into the plant, and what it can do for the mind and body. The botanical name is Citrus junos. Being a cold-pressed fruit, you know the essential oil is photosensitive or phototoxic. This fruit tree can grow up to 25 feet high. It is frost tolerant, telling you it can withstand cold situations. Think about climate, someone who likes the cold or does better in the cold. Ailments that get better with cold, versus heat. This is where yuzu shines. However, this plant is not drought tolerant, meaning it needs water and hydration to survive so it does not wither away and die. Ailments that get worse with heat could benefit from a yuzu essential oil mixture. Or people that require lots of hydration or they feel worse. Tidbits like this can help guide you to choosing what to do, when and how for a plethora of your health concerns. I have used yuzu essential oil in several of my products and custom blends to help calm inflammation, arthritis and for muscle recovery. Have you ever worked out and found muscles you didn’t know existed? My personal trainer helps me find those all of the time, lol. Well, think yuzu for recovery. Recovery of muscle overuse, joint pain, illness like cold or flu, mental and emotional marathons of stress, addiction recovery (soothes nerves, anxiety and withdrawals), and nerve pain. It doesn’t just help physical issues, emotionally it is a wonderful friend to help one connect to their inner strength, not feel defeated or worthless, helps one accept and let go of regrets and forge forward with forgiveness. I was first introduced to yuzu by my dear friend, Dr. Alison Caldwell-Andrews in 2014. This was a time when I needed it most, after suffering from the loss of my father. I was wowed when she shared some of it’s potent benefits – nervous system nourisher, antibacterial, antifungal, anti-hepatotoxic, antispasmodic, and the list goes on. It originated as a hybrid of mandarin in China. When you smell it (or taste the fruit, not the essential oil), it smells like a combination of lemon, mandarin and grapefruit. A very nice, citrusy, uplifting yet soothing and refreshing scent. As an essential oil formulator, of course I had to add it into one of my essential oil blend creations. Mix well, label and use as needed for a daily pick-me-up and replenish by vigor.